Stateless Immigrant: In case there was any doubt... I am such a geek! 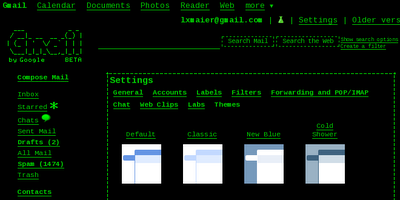 So Google Mail just rolled out themes. And the first one I tried was OF COURSE "Terminal." sweet! i might just keep that one. Excellent find on the gmail Alex. I'm 'terminaled' as well!